The Diabetes OC already has a number of writers, and some are published authors, too, including Kassie and AmyT and probably at least another I am not even aware of, but now we can count another published author among us -- Jenny (Janet) Ruhl from Diabetes Update. Jenny, along with David Mendosa (his archives can be found here), are among my favorite diabetes writers for a variety of reasons: although both have type 2 diabetes (vs. my own type 1), I believe both of them have better knowledge about diabetes (all types) than many family physicians. On top of that, both are very objective writers, and tend to focus on the facts, rather than the hype that typically dominates diabetes coverage in the media today. Plus, their writing applies to everyone with diabetes, regardless of type, which is also a rarity in today's hyper-fragmented world. 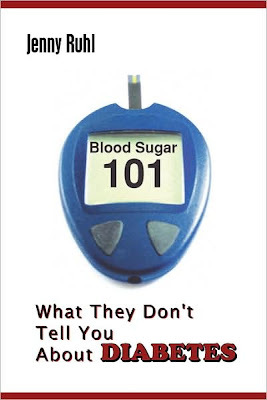 In Jenny's new book, entitled "Blood Sugar 101: What They Don't Tell You About Diabetes", she says "distills the mass of information stored on the Bloodsugar101.com Web site into a 200 page book." That's no small undertaking! The book is available at Amazon.com and Barnes & Noble, but her own website also includes a preview of the first 13 pages to give you an idea of what to expect. Although the book probably doesn't have anything in it seasoned hands with diabetes don't already know, it is still one of the best overviews of the basics on diabetes around (especially for the newly-diagnosed and those with type 2 diabetes). Interspersed throughout is her detailed analysis of what the science says, not just the standard line that all endocrinologists and certified diabetes educators typically provide. But even more important, the book helps readers understand not just what happens with diabetes, but WHY it happens. Too often, the why part remains a mystery, and therefore many people are unable to manage their diabetes the way it should be managed. In all, another great read from an better authority on the subject: someone who actually lives with diabetes herself! Thanks so much for mentioning the book! Response so far has been very heartening and my first reader reviews are trickling in. 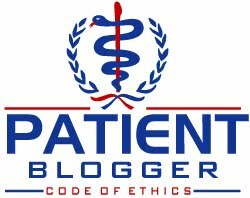 One reader who gave me permission to quote him wrote: "I thought that I had done a thorough job browsing through your comprehensive website; however, your book helped emphasize a lot of areas that I had glossed over." This was exactly what I was hoping the book could do. Because frankly the site has grown to where even I can't keep straight all the stuff that is on it, to say nothing of where it is! Congrats, Jenny. And thank you Scott for this thoughtful introduction to her work. Really interested in reading it!Thanks for the heads up!